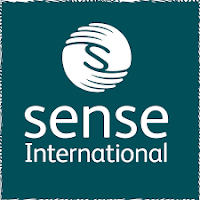 About us: Sense International is a global charity supporting people with deaf blindness in Bangladesh, India, Kenya, Nepal, Tanzania, Peru, Romania and Uganda. We are one of the world’s leading international organizations working for people with deaf blindness and their families. Children with deafblindness in these countries desperately need to receive education and healthcare. Without this, many will lead short, lonely lives. Although Sense International is a fairly small charity, we have a big impact because of the way we work. We don’t provide direct services but provide expertise and training to local organizations and persuade governments to provide support. We aim to put support in place so that we can walk away and leave solid expertise behind. With this support, children with deaf blindness can finally receive the medical and educational support they need. They can learn to communicate, to develop self-care skills, receive an education and perhaps find a job. Rather than being excluded they can thrive and live as valued human beings. Sense International was launched in 1993 with a burning desire to share the expertise that Sense UK had built up over 50 years of working with people with deaf blindness and their families.